Stephen H. Lundy, 81, of Loyalsock Township, passed away Nov. 6, 2018, at the home of his daughter, in Walnutport, Pa. He was born April 1, 1937, in Williamsport, a son of the late Walter and Edith Anderson Lundy. Steve was a 1955 graduate of Williamsport High School; was an Army veteran, and retired as president and co-owner of Advanced Business Equipment in Allentown, Pa. 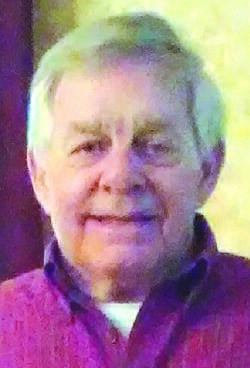 He was a charter member of the Susquehanna Hunting Club, enjoyed the outdoors, especially his cabin on Route 87, where he entertained friends, was an avid Penn State football fan and volunteered for Little League baseball. He is survived by his wife of 59 years, the former Martha A. Peck; son, Stephen H. Jr. (Michelle) Lundy, of York; daughters, Julie (John) Cavaliere, of Emmaus, Pa., and Leslie (Pete) Zapp, of Walnutport; sisters, Peggy Storch, of Elkton, Maryland and Pat Lyons, of South Williamsport; eight grandchildren and two great-grandchildren. The funeral service will be held 11 a.m. Friday, Nov. 9, 2018, at the Spitler Funeral Home, 73 Broad St. Montoursville, with the Rev. David B. Letscher officiating. Interment will follow in the Montoursville Cemetery. Friends will be received Friday from 10 to 11 a.m. at the funeral home. In lieu of flowers, the family suggests contributions be made to the American Cancer Society, 1948 E. Third St., Williamsport, PA 17701.